In 1665 Gian Domenico Cassini observed a feature on Jupiter. It was described as an oval about 1/7 the width of the planet itself, and since it appeared reddish in color it became known as the Great Red Spot. Since then the spot has been observed over the years by both professional and amateur astronomers. It has been Jupiter’s most prominent feature for nearly four centuries. Early on it was thought that the spot was a feature of Jupiter’s surface, and it was used to estimate the rotation of the planet. We now know that Jupiter is a gas giant, and it rotates differentially like the Sun. The polar regions rotate a bit more slowly than the equatorial region, and the red spot moves at a slightly different speed than either. Interestingly, the latitude of the spot has remained fairly consistent over the centuries, at about 20 degrees south of the equator. We also know that the spot is gradually decreasing in size. This has been observed since the 1930s, but new results show that seems to be shrinking at an ever faster rate. It is now shrinking by about 580 km per year. At that rate it could disappear within a couple decades. Whether it will disappear is still unknown. 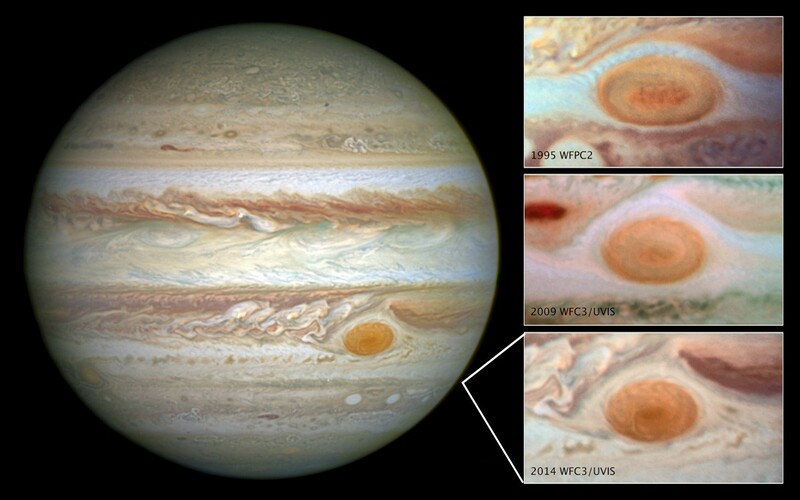 We’ve observed storm features like the red spot appear and disappear on Jupiter, but these have been much smaller. It’s also possible that the spot may disappear for a while only to reappear later. Although there have been observations of the spot over the centuries, there appears to be a gap from 1713 to 1830 when there doesn’t seem to be any recorded observations of the spot. That might be because no one was really interested in it, or it could be that the spot wasn’t there. 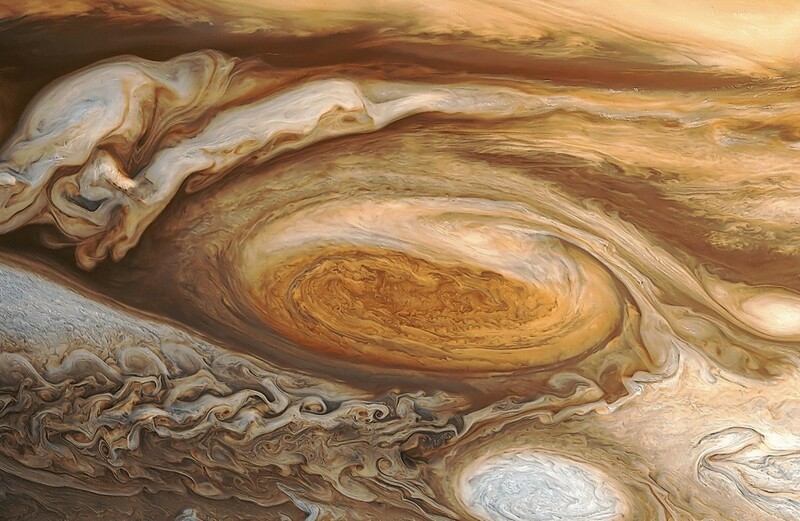 It is possible that the modern Great Red Spot is not the same as Cassini’s. If the Great Red Spot does disappear, the general public will likely lament its passing as they lament the demotion of Pluto. In this case, however, it won’t be the fault of astronomers. Puhhh … I just saw the comments on Google+ on this post. I thought I pulled a joke but the “Anti-Global-Warming-Gang” seem to be out there already. I thought it would have been funny but the reality is actually plain sad.